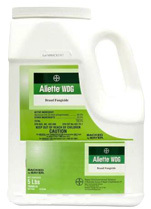 Aliette is the industry standard for prevention and eradication of downy mildew on roses and other ornamentals. 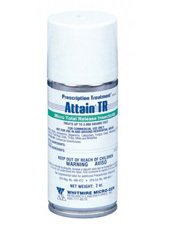 Attain TR Micro Total Release Insecticide is a ready-to-use, ultra-low-volume insecticide fogger that controls a variety of greenhouse insect pests, including aphids, fungus gnats, mealybugs, mites, thrips and whiteflies. Banner Maxx no longer comes in pints with the name change. Only available in gallons. 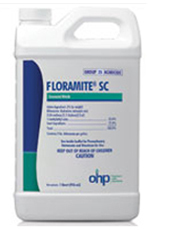 Proven effectiveness in controlling a wide array of both fungal and bacterial pathogens, while providing outstanding plant and environmental safety. 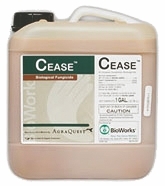 Based on a naturally occurring, patented strain of Bacillus subtilis (strain QST 713), Cease can be used as a foliar spray and soil drench on ornamentals, trees, shrubs, flowering plants and greenhouse crops and vegetables grown under cover. 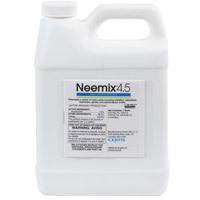 It is a broad spectrum biofungicide targeting common fungal and bacterial diseases such as Botrytis, Pseudomonas, Xanthomonas, Erwinia, Powdery Mildew, Leaf Spot and Speck, Anthracnose and Rust. Usage is 2.5 tablespoons per gallon of water. 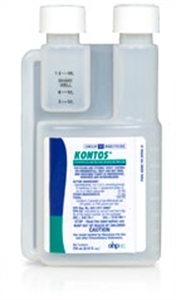 3336 F is a broad spectrum fungicide exhibiting preventative, curative and systemic properties. 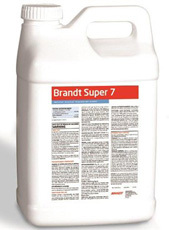 It is useful on a wide variety of turf and ornamental disease problems. 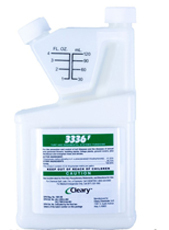 Clearys 3336 is one of the best systemic fungicides for blackspot, mildew and botrytis control. If Honor Guard or Heritage have stopped working as well as they did once, this is a great fungicide. The only downside is it must be sprayed every 7 days for prevention. Usage is 1/2 to 1 teaspoon per gallon. Compass is the great mesostemic fungicide for prevention of Blackspot. Works best when alternated with propiconazole every two weeks. Only available now in 16oz containers. For smaller gardens we recommend Heritage as an alternative to Compass. 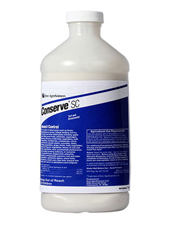 Conserve® SC specialty insecticide is an excellent choice for nursery and greenhouse operators, as well as arborists, and lawn care operators and golf course superintendents. 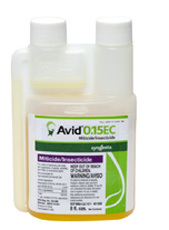 Spinosad, the active ingredient in Conserve, is derived from the fermentation of a naturally occurring organism, uniquely combining the efficacy of synthetic insecticides with the benefits of biological insect pest control products. Conserve SC also has less impact on certain predatory beneficial insects than most synthetic products. GREAT FOR THRIPS! 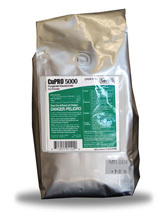 CuPRO 5000 provides superior disease control in citrus and vegetable crops through its high level of active copper, providing a healthier crop at harvest. It is most commonly used on fruits and vegetables for mildews, leaf spots, and bacterial diseases. *Note on some varieties of roses a discoloration may occur on foliage or blooms.Common Diseases Controlled, Suppressed or Prevented by CuPRO 5000 are Powdery Mildew & Black Spot. 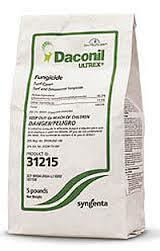 A good all-purpose fungicide in an economical package, BUT carries a DANGER label because of possible eye damage. Unless you have to use this product, we would recommend something with a lower toxicity. Specifically for the prevention and control of botrytis blight, Decree belongs to a new class of chemistry called hydroxyanilides. It is a contact fungicide that prevents botrytis spores from attaching themselves to the plant, or stops the growth of spores if the disease is already active. Usage, one teaspoon per gallon of spray material. 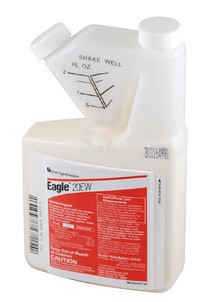 Eagle® 20EW specialty fungicide provides excellent control of powdery mildew. Optimum whitefly and aphid control requires a product that is quickly absorbed into the plant and provides long-lasting protection. 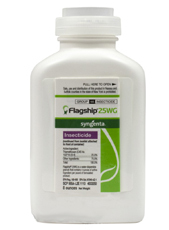 Flagship® 25WG (water dispersible granule) insecticide offers fast knockdown and long lasting, residual control across a broad range of foliar and soil-dwelling pests. It can be applied to foliage or growing media, and is quickly absorbed by plants. It controls target pests on contact as well as through ingestion, with minimal effects on beneficial insects. Swift translaminar absorption makes Flagship 25WG rainfast upon drying, so irrigation and rain will not wash it off. 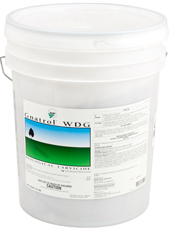 In addition, Flagship 25WG’s chemical properties make it ideal for optimal plant uptake. 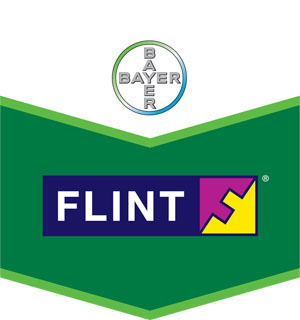 Flint® fungicide is a powerful strobilurin fungicide that provides long-lasting, broad-spectrum disease control for grapes, pome fruits, cucurbit and fruiting vegetables, hops, leafy petiole vegetables and root vegetables. Customers note, this is the same active ingredient as Compass but in a label for fruits and vegetables. Usage is 1/2 teaspoon per gallon. Gnatrol WDG is listed by the Organic Materials Review Institute (OMRI) for use in organic production. Common Diseases Controlled, Suppressed or Prevented: Downy Mildew, Black Spot, Rust, Powdery Mildew, Botrytis & Alternaria Leaf Spot. Heritage also works great on daylilies. 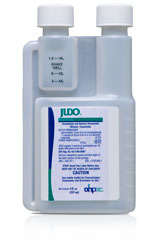 Rate & Combination: 1/4 TO 1/2 teaspoon per gallon of water. 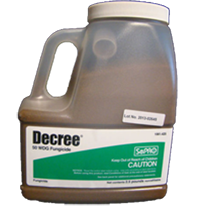 Junction Fungicide/Bactericide has a combined active ingredient of Mancozeb and Copper Hydroxide that creates a strong and broad spectrum fungicide/bactericide. It comes in a high quality dry flowable formulation that will solve diseases in greenhouses, sod farms, nurseries, and golf courses. Some diseases include: Scab, Black Knot, Bacterial Leaf, Fungal Leaf Spot and many more. 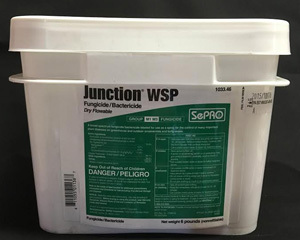 Product has changed from dry flowable formulation to water soluble formulation. 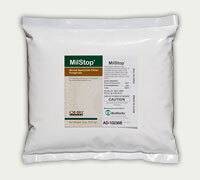 Great for blackspot and/or powdery mildew! NOTE: DO NOT USE WITH INDICATE 5. Pentathlon is a "contact killer" for blackspot. The active ingredient is the same as Manzate or Mancozeb. Pentathlon Fungicide is an effective fungicide that will help prevent and control fungal diseases on ornamentals, turfgrasses such as dollar spot, brown patch, rusts, melting out, red thread, fusarium, and more. 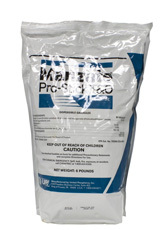 Mavrik Aquaflow® Insecticide, a pyrethroid, is a cost-effective control method against greenhouse and nursery pests. A non-phytotoxic, water-based formulation, Mavrik Aquaflow contains tau-fluvalinate and can be applied to both indoor and outdoor crops - even open blooms. 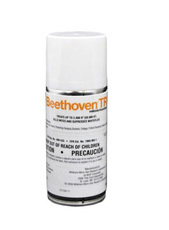 The fast-acting formula kills insects on contact or through ingestion. The fast-acting formulation kills insects - including aphids, mites, thrips, and whiteflies - on contact or through ingestion. See product label for complete pest list. The best product we have found for cucumber beetles. Merit 2F Insecticide is for the use of insect control on turfgrass, sod farms, fruit and nut trees, interior plantscapes, and ornamental landscapes. 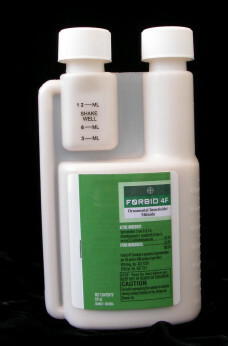 Merit 2F Insecticide's active ingredient is Imidacloprid. Merit 2F Insecticide can also be used to suppress chinch bugs and cutworms. It is a systemic product that will travel up the plant system from the roots. Merit 2F Insecticide has long residual control - it interferes with the insects' nervous system to stop feeding, producing, and then dies. You asked us for this environmentally friendly fungicide, We got it! Curative control of powdery mildews: A potassium bicarbonate-based, foliar fungicide that kills powdery mildew on contact by pulling water from spores and their growing strands. It also inhibits enzymes involved in fungal cell wall formation by altering the pH on the leaf surface, providing 1-2 weeks of residual protection.